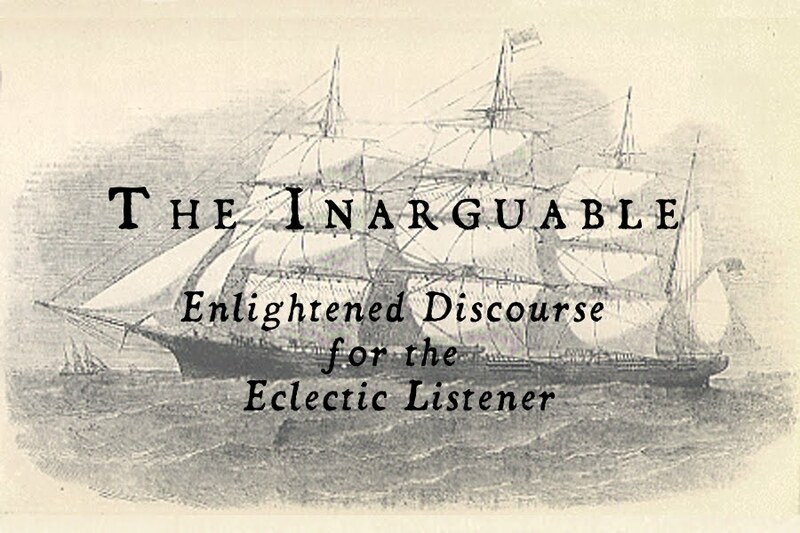 The Inarguable: The Music of the Templars: Syven's "Corpus Christi"
The Music of the Templars: Syven's "Corpus Christi"
Popular culture has severely underplayed the mystique and cultural importance of the small sect of Crusaders known as the Knights Templar. Painted in a strange, almost superhuman light by the pulp works of the History Channel, which has become a farce, and The Da Vinci Code author Dan Brown, the public view of the Templar has shifted from a group of renegade zealots with a large, mystical worldview to the veritable scapegoat for all of history's mysteries. Attributed to the hiding of the Holy Grail, the location of Jesus's tomb, and various other "missing legendary items," it is a shame to see the harbingers of world culture, having experienced (and reportedly adapted) Middle and Far Eastern and Asian cultures, so sorely misrepresented on a worldwide scale. Perhaps not as widely known was the Templar's unique approach to music. Having existed in the earliest era of written and composed music, the sacral hymns set by the Templar existed as a sort of "deeper" cousin to the original Gregorian chant. Looking at the composing style of the hymn Salve Regina, we see some of the earliest use of organum, a style upon which I briefly covered in my review of Obsequiae's debut album. With early music following "monophony," or a single, unaccompanied melody, often sung by an entire choir, organum was the roots of "polyphony," or multiple, independent, and simultaneous melodic lines. In the case of the Templars, this early organum features something known as "homophony," or the singing of multiple lines which feature the same rhythm, creating chords, which can potentially have a melody line sung atop. Compared to Gregorian chant, whose vocal range is normally towards the higher end of the baritone/lower-to-mid range of the tenor range (higher pitched), Templar music is much deeper, sung in the deep bass and baritone ranges. Finnish duo Syven's sophomore effort, a setting of the Medieval Corpus Christi carol, is an exercise and revitalization of the ancient Templar style, fused with the sensibilities of both Finnish folk music and the depth of Russian basso profundo practice. 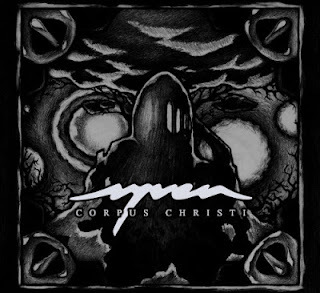 Released on Audiokratik, the band's own imprint, Corpus Christi has been a longtime dream of vocalist A. K-S., wanting to recreate the atmosphere of early version of the carol he had seen performed in his earlier years. Musically, Corpus Christi follows the music of the Templars in a very loose sense, utilizing the deep range of its performing style, though delving even deeper into the basso profundo range, and the homophonic composing style, but stretching the boundaries to include adventurous harmonies and what K.-S. refers to as a "shamanic initiation." K.-S.'s voice is deep and mournful, fitting the text of the original carol which dealt with a viewing of Jesus's body. K.-S. also revives the percussive, almost animal-like sounds and whispers which were used extensively in the amazing Aikaintaite, Syven's debut album, as well as includes mournful spoken word passages. A. Tolonen's musicianship is at its finest, acting as a modern continuo (a term for "backing band" used from the medieval period up to and through part of the baroque period) for A. K.-S., utilizing his signature kantele work along with sparse percussion, organs, and keyboards, painting pictures of untouched pine forests and forlorn valleys to juxtapose with K.-S.'s sacred lyrical content. Following in the style of sacred music settings, Corpus Christi is broken into four movements. Movement I, entitled "Ploratio" is a lament, featuring K.-S.'s solo voice at its most mournful, meandering, and poignant. It sounds almost as if K.-S. was really there, mourning the death of his friend and leader. Movement II, titled "Corpus Christi," is the actual setting of the Corpus Christi carol, which dates back to 1504, which is interesting, considering the Templar officially disbanded in the 14th century, meaning Syven took this Medieval carol and sent it back in time at least two centuries; an interesting feat. Movement III, titled "Renascentia," is intended to be a "prayer and shamanic initiation." 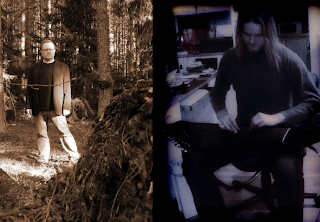 It is in this movement that Syven returns to their pastoral, tribal neofolk roots, rife with deep whispers, heavy percussion, and intricate kantele work. Movement IV ("Crucem Sanctam Subiit") is a performance of the ancient, monophonic Templar chant of the same name, fused with Tolonen's tribal folk in the background. Corpus Christi is quite the adventure, and is as enjoyable as it is educational. While most know of the Gregorian chant style in a superficial sense, Syven have created the perfect leaping point into the world of early sacred music. It's beautiful, really, and, as someone who has dedicated his life to researching music, such magnificent research and passion is something which I thought had all but disappeared in these spheres. Though some might be put off by the religious center of this 35-minute album's lyrical focus, it must be understood that this is merely an appreciation and setting of an old Easter carol, and an excellent one at that. Syven had already astounded me once with Aikaintaite, but they have again raised the bar with the care and thought put forth with Corpus Christi. Corpus Christi is available in digipak form from Audiokratik, complete with an HD video which acts as a companion to the lengthy piece. Corpus Christi is also available in flash drive form, which contains a digital copy of the album (FLAC and mp3), artwork, lyrics, an HD video, and, as a bonus, individual dry instrument/vocal tracks which you can use to create your own individual mix. Above and beyond.